Pocahontas was the pet name (it meant “frolicsome”) of Matoaka, daughter of the important sachem Powhatan (Wahunsonacock), leader of some 30 tribes that lived near the Jamestown, Virginia, settlement of the English. Pocahontas was a young girl in 1607 when she saved the life of the colony’s military leader, Captain John Smith—reportedly laying her head atop the captive Smith’s to prevent him from being brained. Based on this incident, Pocahontas entered into romantic American folklore, literature, visual art, and even opera. She was an informal goodwill ambassador between the Indians and the colonists. 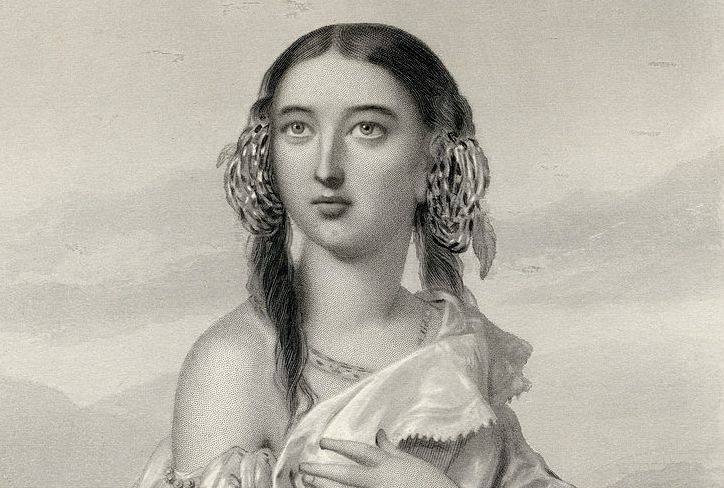 She married colonist John Rolfe, with whom she traveled to England, where she was presented at the court of James I. She died in England of smallpox.